Grand Wayne Center | MSKTD & Associates, Inc. 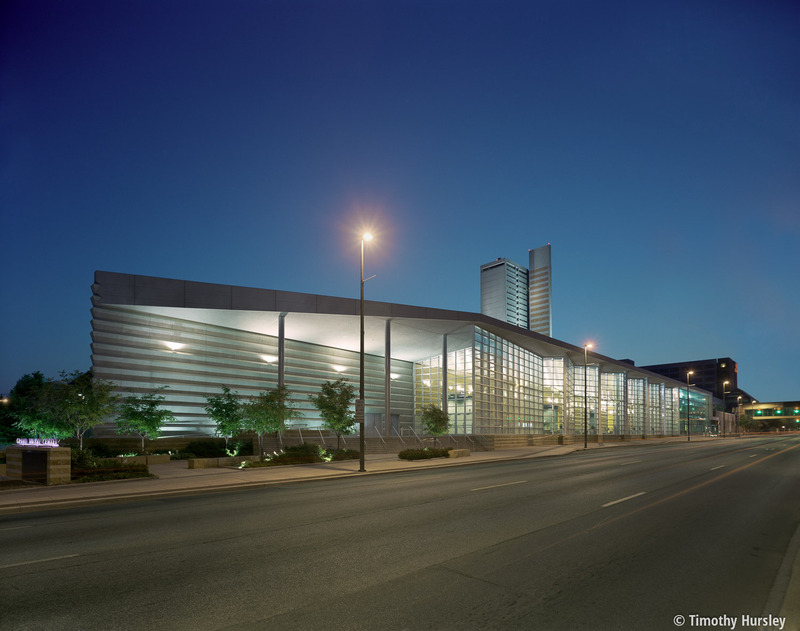 The Grand Wayne Center expansion was a unique and challenging project, one that doesn’t happen often in any community – a $30.0 mil high profile landmark public project completed where it bid, while maintaining a tight construction schedule and meeting a firm completion date. A project of this magnitude has many distinctive features, first and foremost being the glass curtainwall along the south side of the building and the beautiful new Lobby with its natural light, openness, wood finishes, and terrazzo flooring. Also unique is the way the interior finishes were echoed on the outside of building. The fountain at the north entry appears to flow into an exterior cascading waterfall, breaking up the elevation change between the new construction and existing building. Suspended light fixtures appear to “fly through” the space along the north/south pedestrian corridor out to exterior of building. The existing building was gutted for renovation, re-purposing its space. The existing 5,000 s.f. kitchen was torn out and replaced with a 12,000 s.f. new one that can accommodate 3,000 guests for a single banquet seating. In addition, the facility has all new infrastructure including state-of-the art lighting, climate control, and acoustical systems.